Most University of Georgia students spend the first semester of their freshman year adjusting to campus and studying for exams. But after Ramatulai Jagne finished her homework, she worked on launching her business, Ramla Apparel. The online business sells protective hair bonnets from Gambia; shea butter and oil perfumes from Dubai; as well as wax print dresses, jewelry and accessories from a variety of places in West Africa like Kenya, Nigeria, Senegal and Ghana. It’s a blend of Gambian culture, African American culture and American culture, and many of the products are imported from Gambia. 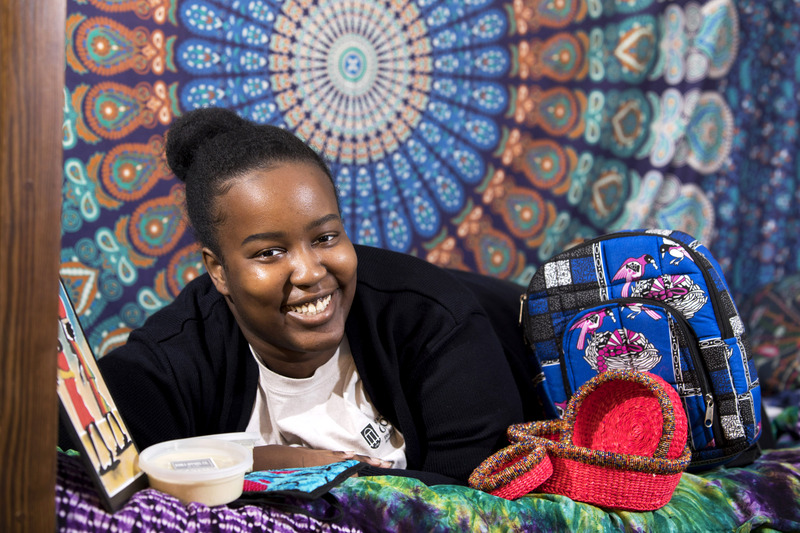 Jagne, a first-generation college student from metro Atlanta, runs the business with her mom, Lala Jobe, who emigrated from Gambia in the 1990s. When the website launched in January, the hand-woven fans sold out in two days. Their signature product— the wax printed bonnet, lined in satin—sold out the fastest. The idea for the business was years in the making. Jagne and her mother had been talking about starting a business for a while, and while on a road trip last summer they decided it was now or never. 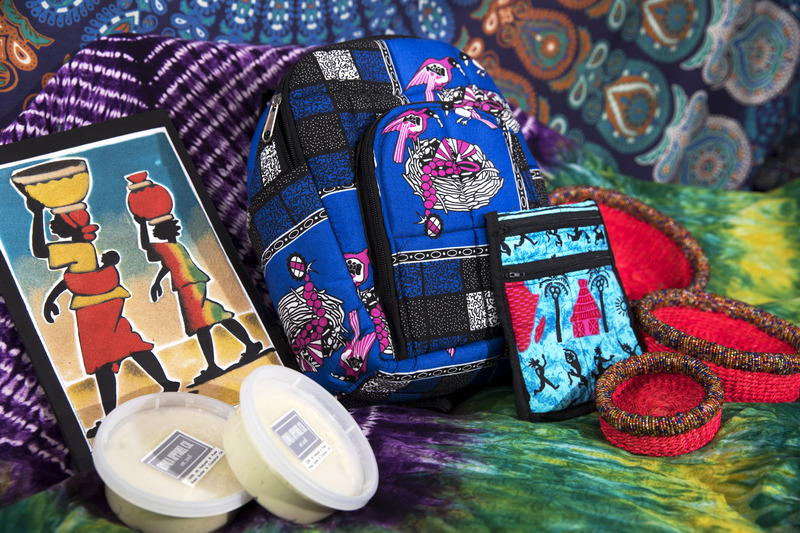 They saw a need in the market—a need to connect with African culture—and a gap in the market for an online marketplace for reasonably priced imported African goods, many handmade. That day, they started doing their research. For Jagne, that meant learning how to build a website and learning the technical aspects of an online business. It also meant getting a business license, naming the business and querying friends and family about what products they would want to purchase. Before the launch, Jagne was spending her free time during her first semester at UGA taking product pictures and uploading the pictures to the website. Now that the website has launched, it’s about maintaining the business. She handles marketing and promotions for the business. She sends out emails and manages its social media accounts. Her mother handles the day-to-day aspects of the business: mailing out the products and importing the products from Gambia. She’s currently working to restock products that sold out after the initial launch. The business is based in family connections. One of Jagne’s aunts works at the Gambian airport, and another lives in England and is married to an African tailor who makes a lot of clothing for the business. A few cousins travel frequently to Nigeria and Kenya and supply them with products. And her mother and 12-year-old sister often appear in product photos. Jagne’s business is one of hundreds launched by students still in school over the years, and part of an increasing trend of student entrepreneurship on campus. More than 1,000 students each year participate in UGA’s Entrepreneurship Program, which has grown exponentially in the last three years. An intended management information systems and international business major, Jagne said her UGA classes are coming in handy. At 17, Jagne, who did joint enrollment at Clayton State before coming to UGA, has her whole career ahead of her. But with her new experience, she is considering a career as a business consultant—hopefully something with travel, she said. She is also a Coca-Cola First Generation Scholar and a First at the First ambassador, a leadership organization for first-generation students. She’s a member of World Leaders, where she helps with orientation for international students, and serves as a resource for international students throughout the year. She’s a member of Franklin Residential College. She recently participated in NAACP’s Mind Your Business event, a showcase of local and student run businesses for Black History Month.